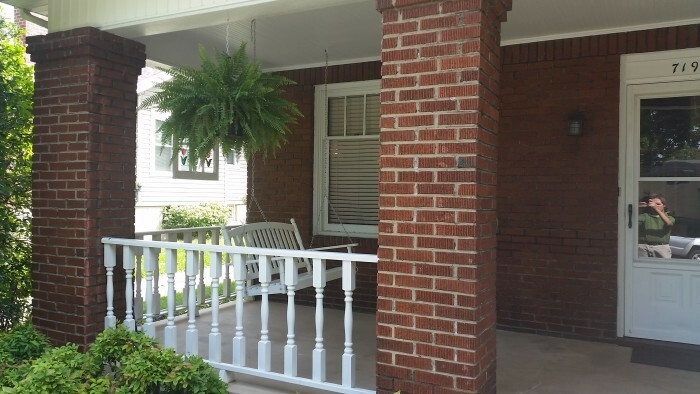 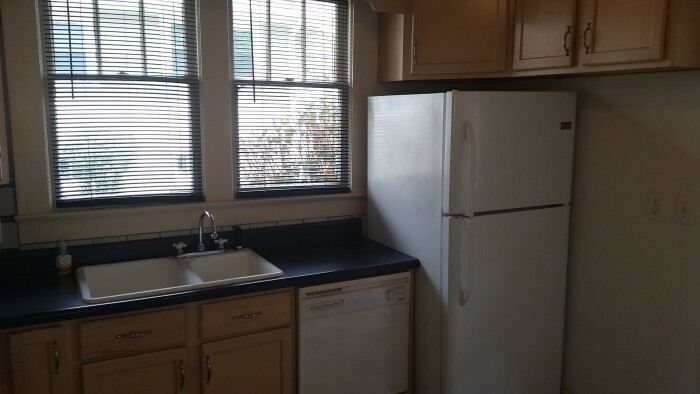 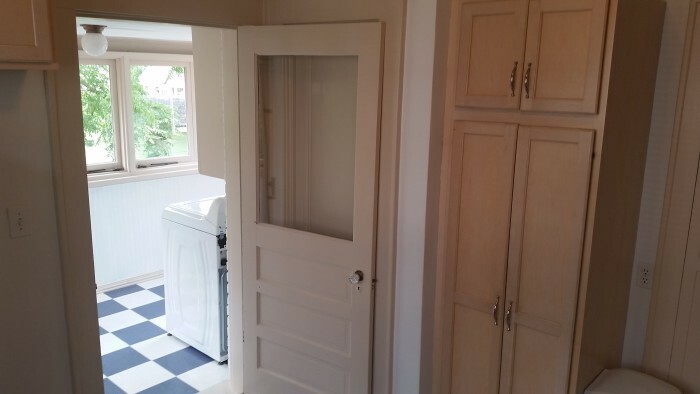 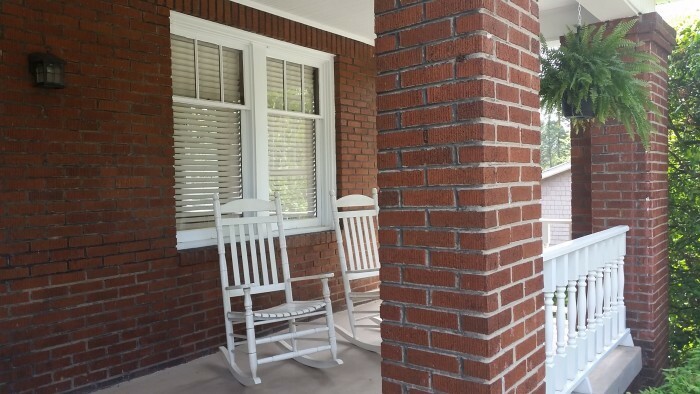 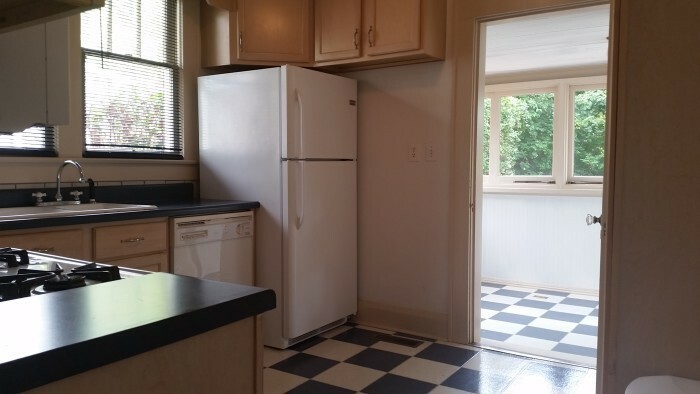 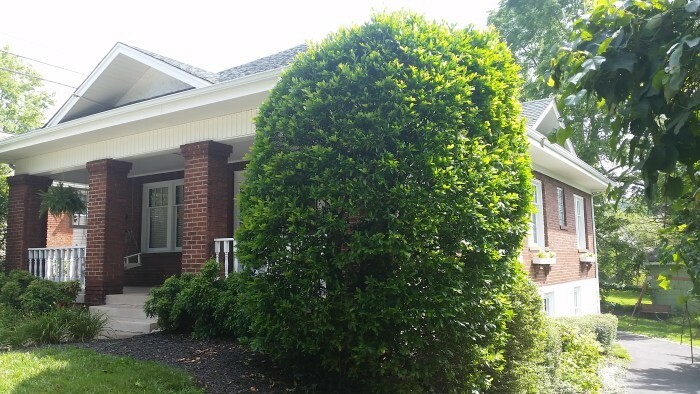 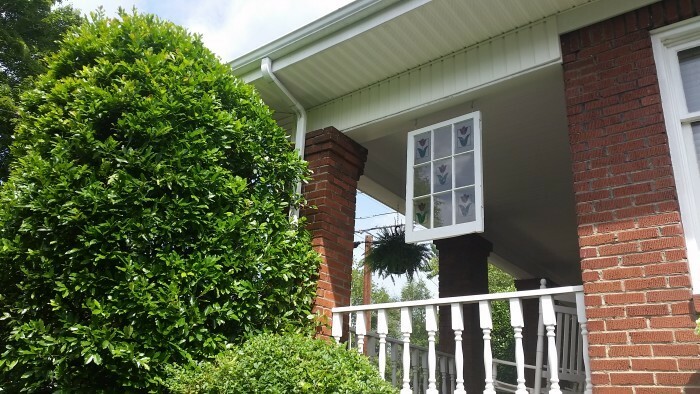 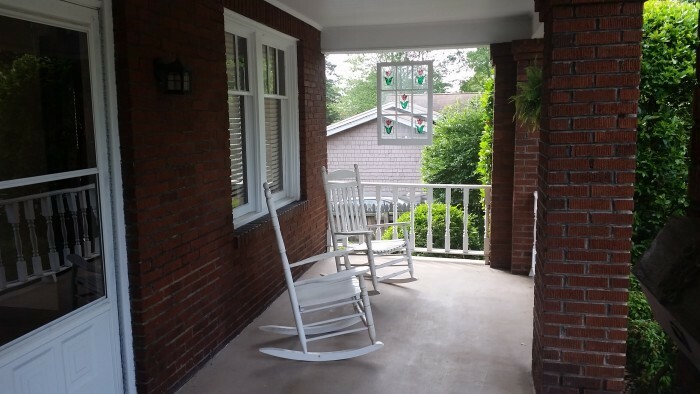 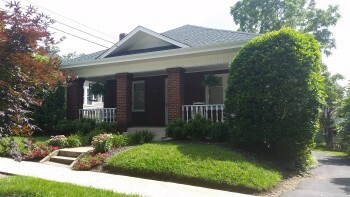 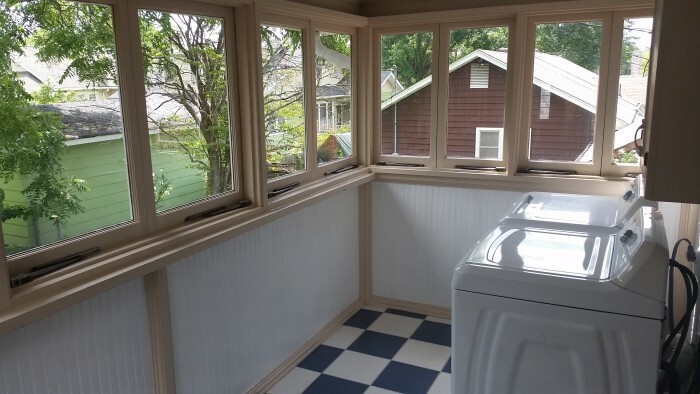 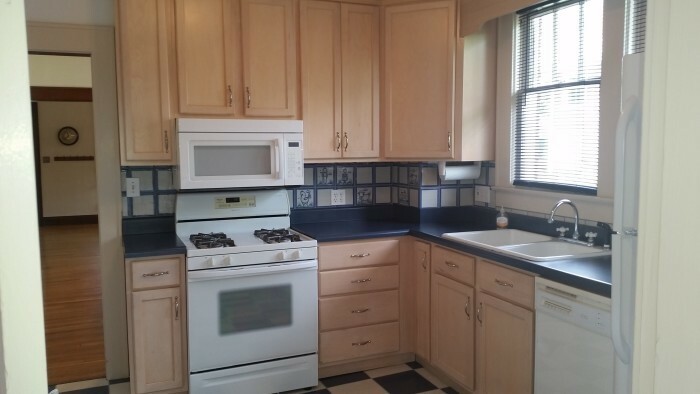 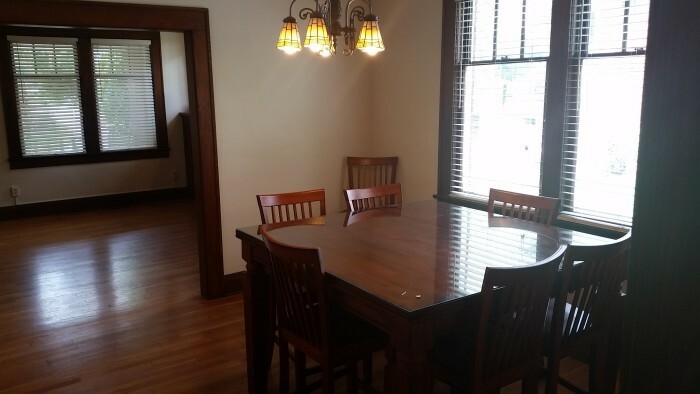 This One level craftsman Cottage Bungalow is one of our most adorable rental homes. 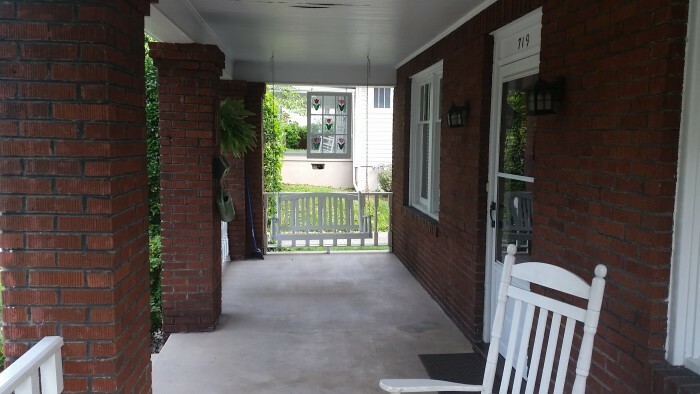 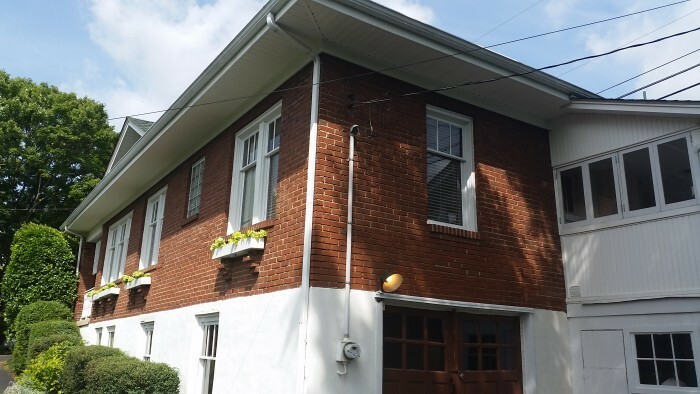 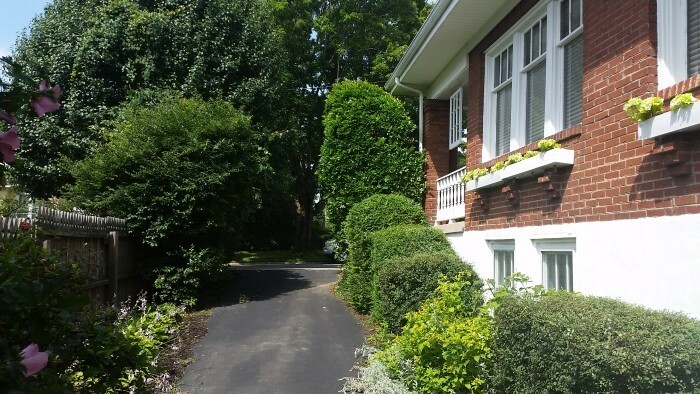 Boasting over 2200 square feet, this house has all the charm of the 40’s and all the comfort of modern homes. 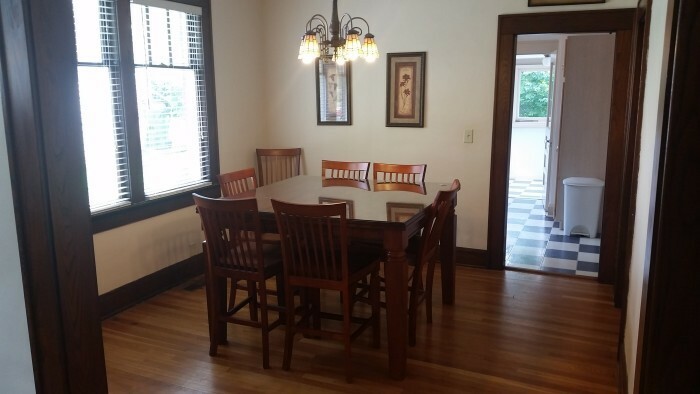 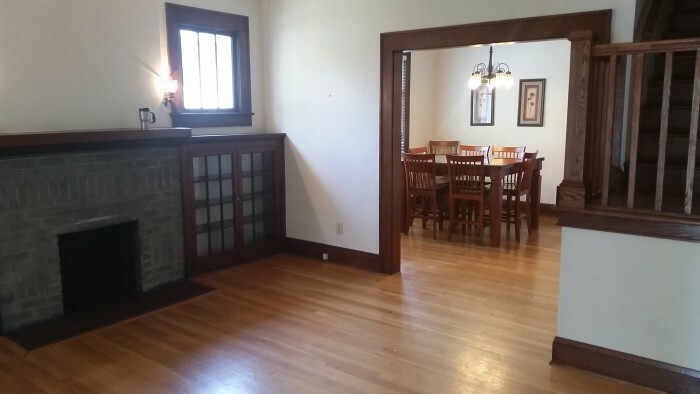 Sitting in a neighborhood loaded with historic craftsman homes, this house is among some of the most well maintained and well preserved of its kind. 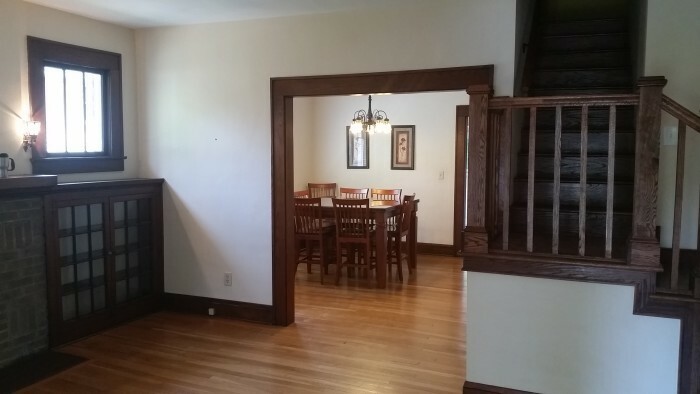 It has a cozy living room with a fireplace and built in bookcases. 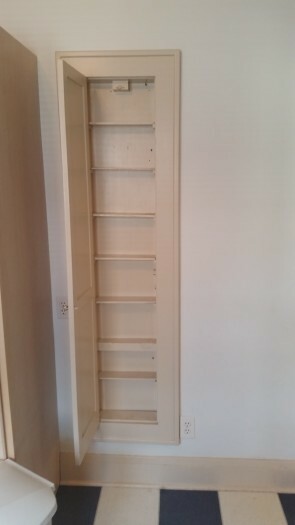 All the original trim is still in it and it is in pristine shape. This house has beautiful white oak floors, a seperate dining area, a large room upstairs, an office, a large front porch with a white porch swing and two wooden rockers, 3 over 1 single hung architectural windows, pretty landscaping, 2 bedrooms on the main level with full bath, a galley kitchen with updated cabinets and a built in spice rack, a charming mudroom off the kitchen has a place for a bench to store your shoes and a laundry area. 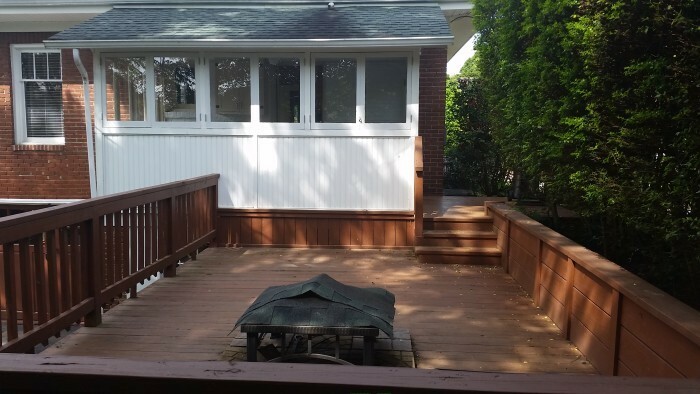 The backyard is mostly taken up by a large deck overlooking the back of the house where old carriage doors lead into the full basement. 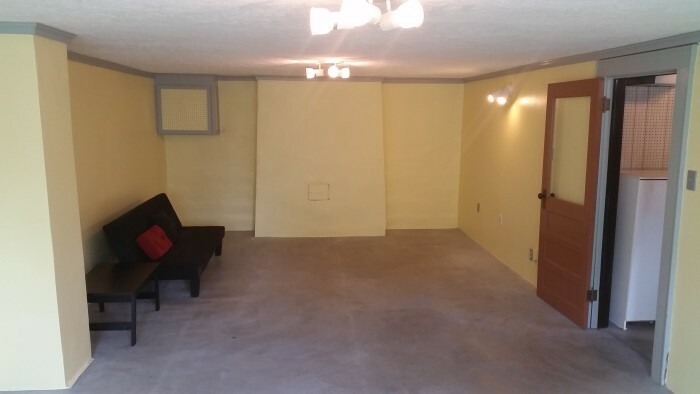 In the basement, which is accessible from the inside, there is a large bonus room. 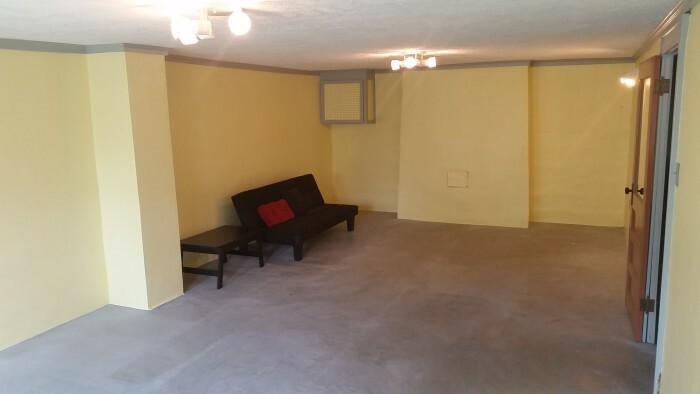 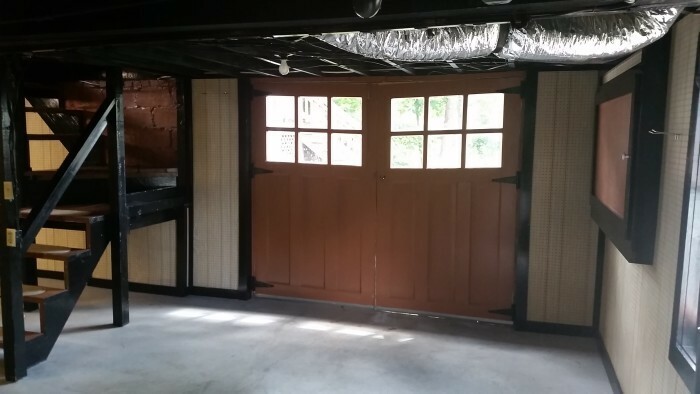 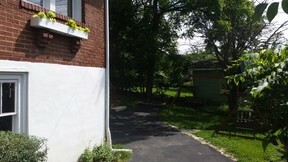 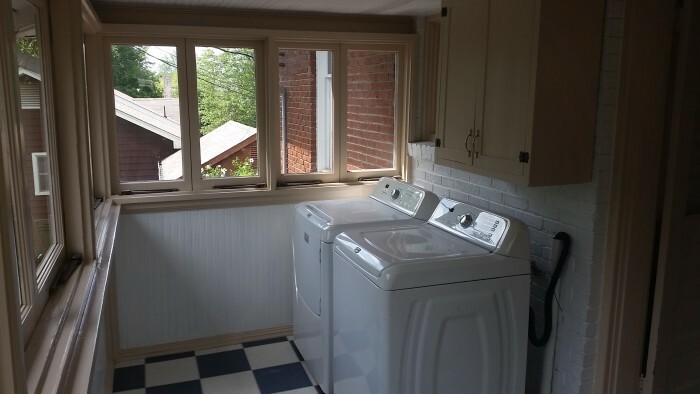 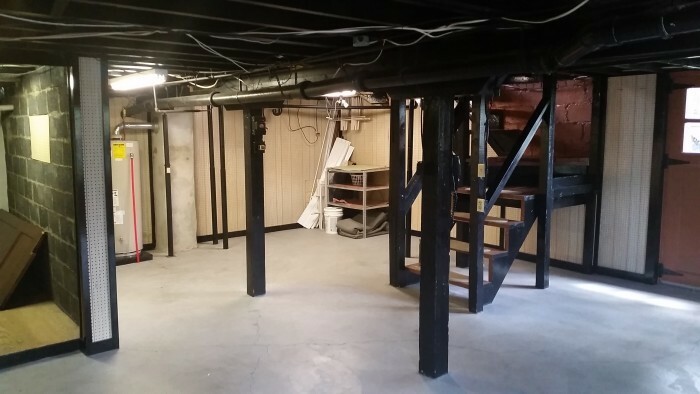 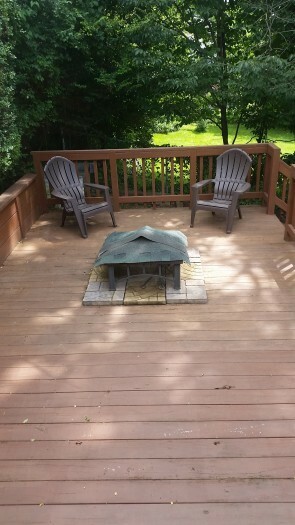 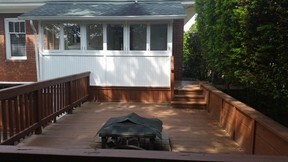 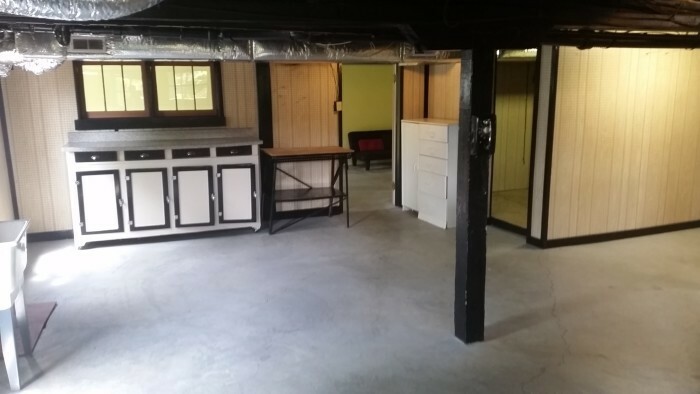 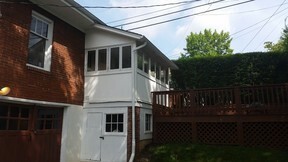 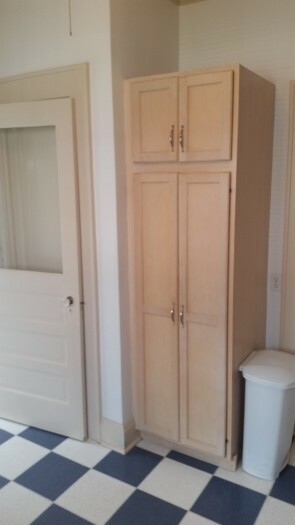 The front portion of the basement has ample storage and utility access. The House has an add on AC heat pump and a gas furnace for the winter giving warmer heat than a conventional heat pump. 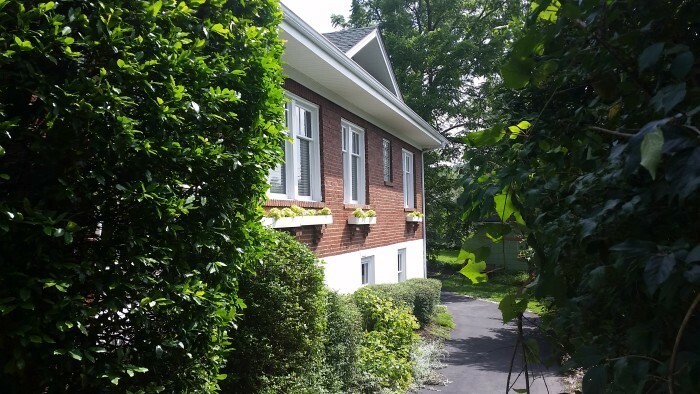 With flower boxes under large architectural windows and beautiful garden style landscaping, this is one of our most charming cottages.